WOOHOO! Hola Amigas! I am a Creative Crew Designer for the next USTAMP Session. Do see the difference of what type of Designer I will be...Instead of a Guest Designer which I have been for many sessions...I am honored to NOW be a Creative Crew Girl...YEAH, ME! This round I will be creating 2 projects. I was SPEECHLESS when Dawn asked me! I know me speechless. I hope you will join this next round. Like ALL of them you won't want to miss it! Hola Amigas! 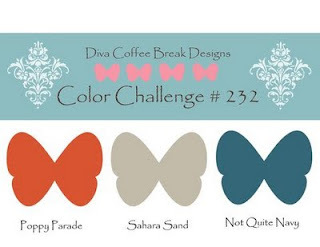 Mitzi has provided us with this color challenge. Love the colors...Hope you will play along with us. Here is my take...I went with CAS (Clean and Simple). What do you think? 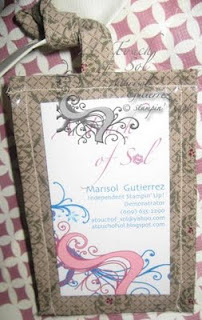 Hola Amigas...Here we are with our 2nd Blog Hop. 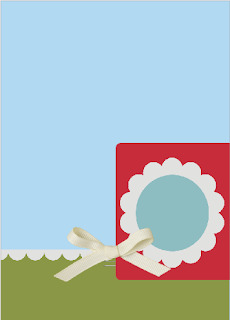 This time we are showing items using the Big Shot...So what did you think of Stace's BAB card? CUTE, huh? 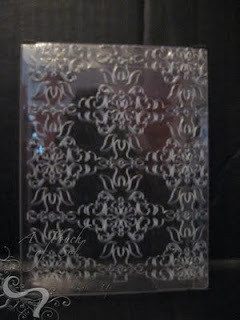 One of my favorite Big Shot items are Embossing Folders. They can make any blah project...WOW! I purchased clear card boxes to make gift sets. 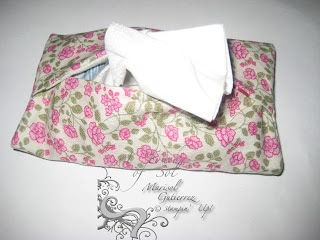 Although I could have added just a bow for a pretty presentation look at the box after embossing it. Doesn't it look great? I am sure that the recipients in Solimar's school will love what's inside as much as the outside. Now you can go see my neighbor Holly. To start at the beginning you can go to the VC Rocks Blog. If you have been following the Blog Hop from the beginning, you have just seen Jackie Topa's Spa card. Isn't it just the cutest thing? Today I am going to share with you the Scratch & Sniff Technique. 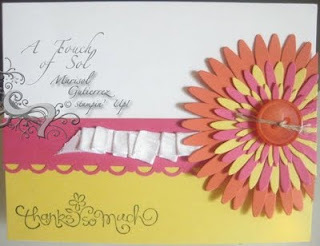 What better set than with the Sunny Fun stamp set from the 2011 Summer Mini. Now your off to see Monika's BRIGHT artwork. Hola Amigas! Get ready to "hop" everybody! This is going to be a super hop featuring the talented designers from UStamp! 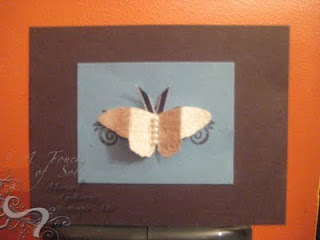 Dawn came up with a fun idea for a hop with FREE PDF's for all projects posted. Hop begins June 10th and runs through June 12. I will be creating a project that will help COOL you down...HMM! What do you think it is? I hope to see all of you hoping with all the Lovely Ladies of USTAMP with Dawn and Friends...and GUESS what we will all be given away prizes!